Poppy the alpaca is excited to discover new plants, fruits, and vegetables growing around Moonrise Farm. She tries dandelions in the spring, strawberries in the summer, pumpkins in the fall, and so much more! But when a frost arrives, Poppy can't find any more tasty treats. What happened to the mint and flowers? Where did the apples and squash go? What will she eat for lunch? Lucky for Poppy, someone has filled the barn to the brim with a surprise that she and her animal friends can eat all winter long. 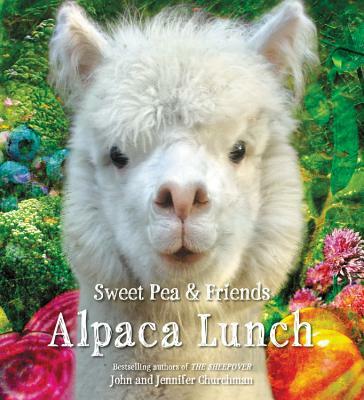 Alpaca Lunch encourages healthy eating and trying new foods as the animals explore an array of colorful fruits and vegetables--some that kids may never have seen before! This charming story by John and Jennifer Churchman features real animals on their bustling Vermont farm including a herd of adorable alpacas, as well as fan favorites from The SheepOver, Brave Little Finn, and A Farm for Maisie.